Ahhhh! 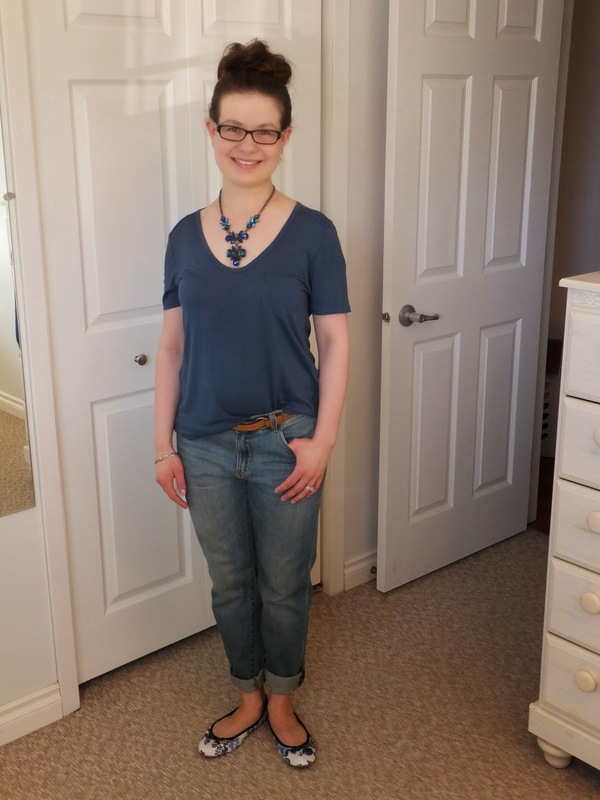 The first Spring Capsule Wardrobe outfit! It is as though the weather heard that I was pulling out my Spring clothes. The weather has been BEAUTIFUL! This is a comfy, casual outfit. I love these new jeans! They are as comfortable as sweatpants. I am not even kidding. I am in love! The whole outfit head to toe is Joe Fresh. Except the belt. It is from Forever 21. My kind of outfit! Very comfy looking for spring! Thank you, Michelle! Thanks for stopping by! Super cute! I love a cute, comfy outfit. Thanks, Kayla! I appreciate you stopping by!